Kleczek Law Office attorney David Kleczek advocates for bicyclists, pedestrians, and other road users. Cycling is a great form of exercise, environmentally friendly mode of transportation, and a fun hobby many people do recreationally. However, bicyclists face many threats while attempting to complete their daily bike route. For example, people in populous cities are forced to ride in various bike lanes which are often times located on busy streets; therefore, bicycle accidents are very common. So, when a cyclist is injured due to dangerous unforeseen conditions on the road, one is authorized to receive the compensation he or she deserves. Kleczek Law Office focuses on recovering expenses for the victim or a loved one involved in a bicycle accident because bicycle accidents can temporarily and permanently alter someone’s life. According to the National Highway Traffic Safety Administration for the year 2011, 48,000 bicyclists were injured in traffic accidents. Additionally, 2.1% of all traffic crash deaths were represented by bicycle fatalities, and the majority of bicycle riders who were injured or killed were males. Sadly, one in ten people involved in a bicycle accident were children and alcohol was involved in more than 37% of bicycle deaths. It is important for drivers to understand and acknowledge the rights cyclists have when sharing the road with drivers. Motor vehicle and bicycle accidents are on the rise in major metropolitan areas. To avoid accidents and injuries, cyclists should ride safely and alert. Majority of collisions occur at intersections due to reckless driving and ignoring street signs. Many drivers fail to make cautious decisions while driving and forget that cyclists are also lawful users of the road. Cyclist accidents tend to occur when both drivers and cyclists do not observe their surroundings. Automobile drivers tend to not check before opening their car or truck doors before exiting their vehicle. Cyclists have little time to change direction, and as a result, the injuries are quite serious. Unfortunately, cyclists riding into automobile doors account for 8% of bicycle accidents. 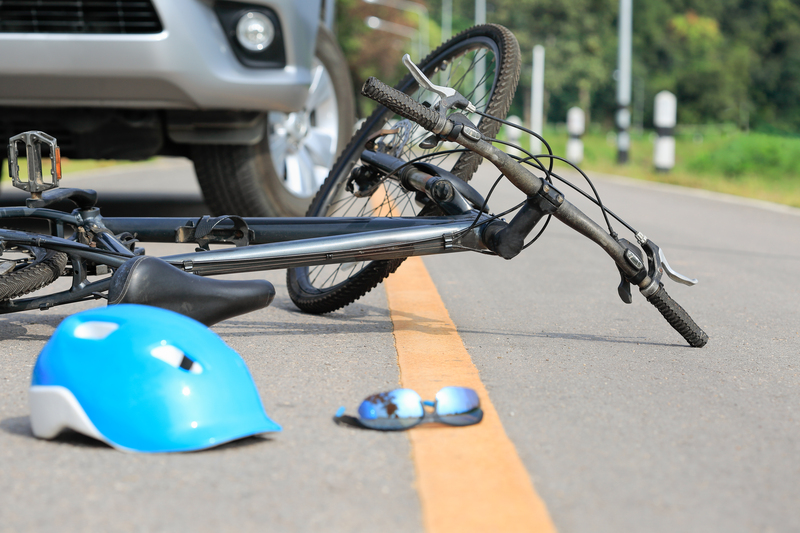 Following bicycle “dooring” accidents, various other bicycle accidents are also common. Bicycle lane accidents consist of cyclists riding along vehicle traffic on the road but in designated bike lanes. These lanes are not on every street, so on other streets, cyclists are forced to ride within traffic. Some causes of bicycle lane accidents include a car turning into a bicycle lane at the corner of an intersection. If a vehicle crosses into a cyclists lane, the cyclist struggles to quickly maneuver around the vehicle that is crossing into the lane. Another cause of bicycle accidents is drivers speeding. Certain drivers are convinced they can decrease the time of their commute, but when they do, they tend to aggressively or recklessly use driving techniques. Driving this way significantly increases one’s chances of causing a traffic collision. Failure of a driver to follow the rules of the road resulting in a bicycle traffic collision, he or she has the possibility of resulting in traffic or even criminal charges for his or her driving conduct. Road rage is defined as violent anger that stems from traffic conditions that often times leads to collisions. It is everyone’s responsibility when operating a motor vehicle to respond to any road situations in a calm, respectable manner. Road rage can affect cyclists, and if you ride a bicycle, it is your right to have your respected riding space and to have an area similar to the other vehicles on the road. Hit and run bicycle accidents are also very common, and the victim of a hit and run accident often times has to deal with the situation on their own because evidence can be lost very quickly. In most cases, if a cyclist owns a car, his or her insurance policy will cover the costs of a hit and run. The costs can include medical costs, lost wages, and other damages. Victims of hit and run accidents are often left traumatized, and if he or she has both emotional and physical damage, they should seek compensation for the bicycle accident. Bicycles are considered dangerous on busy streets because cyclists are exposed to all the elements surrounding them while riding. There is little protection between the cyclists and other objects such as various vehicles, pedestrians, and other road obstacles. Common injuries include broken bones, spine injuries, brain injuries, head injuries, and serious lacerations. Therefore, Kleczek Law Office recommends its clients take precautions when riding a bicycle. Cyclists should take the road with caution and assume that drivers are not aware of their presence. Cyclists should wear proper attire; they should wear helmets, reflective clothing, and other protective gear. Additionally, cyclists should equip their bikes with reflective tape and lights. Lastly, cyclists should yield for pedestrians and obey traffic lights and stop signs. There has been a push recently to create safer conditions for cyclists within major cities. Bicycle paths and bicycle bridges have also become very common; however, cyclists still have to commute with cars and trucks and are constantly at a disadvantage due to lack of protection. Therefore, if you or a loved one are involved in a bicycle accident, you should find help at Kleczek Law Office because our lae firm is experienced in dealing with bicycle accidents. 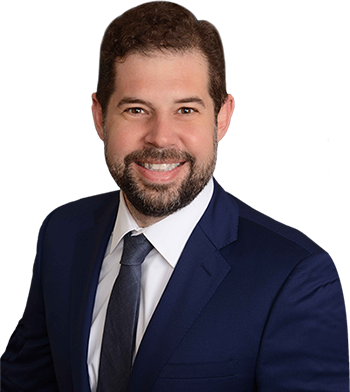 David Kleczek will help each victim recover damages to compensate for the losses involved in the accident. If you or a loved one was injured in a bicycle accident, you should contact David Kleczek at Kleczek Law Office to help determine if you are eligible to claim a personal injury against the driver. Many cyclists do not understand their options following a bicycle accident, but they are encouraged to seek recovery for the damages in the accident. A civil claim allows the victim to recover costs such as medical bills, surgical bills, lost wages, rehabilitative costs, and non-economic losses such as pain and suffering. If you or a loved one has been hurt in an accident, contact Kleczek Law Office to gain the relief you deserve.